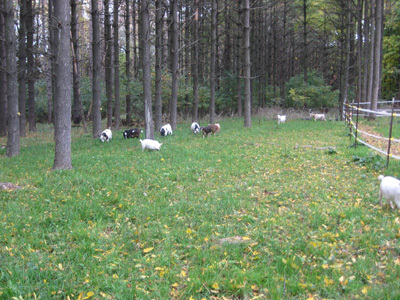 For pictures of available goats check out our For Sale page! Oak Hollow Acres Sugar Oak Hollow Acres Fargo Born 3/24/19 L13 Buckling $500 Solid Black Excellent structure and milk production lines. Should the buyer back out of the sale, or not pay in the agreed upon time, any monies paid are forfeit and the animal may be put back up for sale. Buyer is responsible for all shipping costs (including crates) as well as any vaccinations, testing and/or health certificates required by your state. If you are buying a bred doe I will guarantee she has been exposed to the buck selected. The only way to guarantee pregnancy is by an ultra sound done at the buyers choice and expense. Kids will leave with at least one CDT shot, a coccidiosis treatment, and a worming. Due to shipping stress and outside factors , once the animal has left the farm the seller is not responsible for anything that may occur to the animal. The buyer is responsible for all feedings, shots, wormings, and veterinary care the animal may need. I will guarantee against any genetic defects with a vets written diagnosis. This does not include a goat going over height. Should something be wrong genetically an animal of equal value will be give to the buyer when one is available. It is the buyers responsibility for shipping expenses. We want you to love your goat as much as we love ours! We will always be available for any questions and help you choose the right animal for your needs! I also strongly recommend educating yourself on goats before purchasing!